How do I overcome my lack of motivation in order to beat my hypoglycemia? Identifying the reasons and finding the motivation to overcome your hypoglycemia is as important as actually applying changes to your diet and lifestyle. This is because once you begin to change your eating habits you are likely to experience some very bad and often quite painful withdrawal symptoms. If you have not clearly identified why you are putting yourself through such an experience it is very unlikely that you will remain on your healthier eating plan for very long. No matter how hard you try you will just not be able to convince yourself that this is for your benefit and you are likely to tell yourself "just one more candy bar, just this once to help me through." Clearly identifying why you are changing your lifestyle programme will make all the difference. Having set measurable goals will act as a motivator for you in a variety of ways, these goals will enable you to not only track your progress, they will also act as a constant reminder in highlighting your reasons for beginning and ultimately remaining in your new healthier way of life. 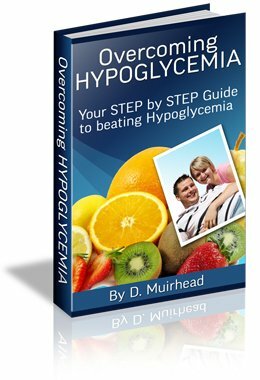 All of the information you need to motivated yourself to beat your hypoglycemia can be found in easy to follow instructions and action guides in the Overcoming Hypoglycemia Ebook. You will find a step by step guide and printable worksheets that will help you beat your condition from day one. This guides can be filled out and completed at your own pace to act as a support to help you overcome your condition fully.